We are carrying out a feasibility study to explore potential options to enable closure of Slipe Lane Public Footpath level crossing in Wormley, Hertfordshire on the Bethnal Green to Kings Lynn line. This is part of our ongoing commitment to deliver a safer, more efficient and reliable railway. This section of the line is heavily trafficked by services to Hertford, Cambridge, Kings Lynn & Stansted Airport. The line is extremely busy with approximately 10 trains per hour, some running at full line speed, and the crossing is a user operated Stop Look and Listen ‘Kissing’ gate type. We’ve already taken steps to close many crossings across the network and improve people’s understanding of their potential dangers. We’re now looking to find potential solutions for the level crossings in your area by balancing the needs of the local community with those of road and rail passengers. We’re committed to delivering a safer, more efficient and reliable railway, whilst improving connectivity within local communities. 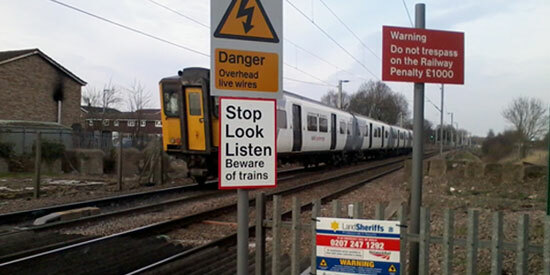 • Reduce delays to trains and pedestrians. Please let us know what you think about the preferred options presented. The feedback collated will help inform the final scheme design.